Period of Research Stay: 02.03.-15.05.2018. Hannah Harrison is a PhD Student in Environmental Anthropology at the Norwegian University of Life Sciences in Norway. She was awarded as a Green Talent in 2017 and conducted her two and a half months research stay at the Integrative Research Institute on Transformations of Human-Environment Systems, Humboldt Universität Berlin under the supervison of Prof Dr Jonas Ø. Nielsen. 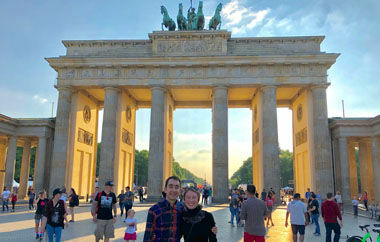 Having recently returned from my research stay at Humboldt-Universität zu Berlin IRI THESys (Integrative Research Institute on Transformations of Human-Environment Systems), it is interesting to look back and realize what a short yet high-impact research stay can have on the development of a PhD candidate. 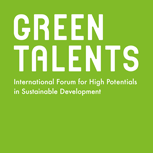 When I originally applied for the Green Talent Award, I knew that IRI THESys could offer me an opportunity to work with PhD candidates and professional researchers with whom I shared very similar research interests and methodologies. However, I did not anticipate that this visit would help to shape my final PhD thesis, would allow met to find new co-authors and collaborators for my final thesis article, and would allow me to experience life in a one of Europe’s most progressive academic societies. Yet another example of how Green Talents has continuously surprised me! From the outset, the IRI THESys administrative and research community was incredibly welcoming. They helped me to settle in and provided everything I could need in order to have a productive and comfortable research stay. It was really interesting to work with a different research group (“lab”), and seeing how the PhD candidates worked with my host supervisor, Dr. Jonas Ø. Nielsen, really illuminated to me how good supervision can uplift, challenge, and help grow PhD candidates with new responsibilities and experiences. I was encouraged to attend research group meetings both within IRI THESys and in the labs of their collaborative partners. I was invited to speak on several occasions about my own research, and enjoyed the opportunity to receive feedback from people who were outside of my own field, yet could offer valuable theoretical and methodological critiques. The German research environment itself was also different from the environment I’ve known back in Norway, and it was very valuable in my development as a researcher to see the pros and cons of both systems. I was impressed by the collaborative and cross-disciplinary research going on in the different labs I visited. I even wished to once again be a student at Humboldt Univeristat after seeing the many interesting courses, seminars, meetings, and other learning opportunities offered on a regular basis throughout their campuses. Getting to dive deeper into my own expertise alongside PhD candidates with similar interests and experiences was also very valuable, as it really challenged and strengthened my own knowledge of the field. Further, I was able to see the same skills sets I use in my research utilized in different contexts – a very enriching experience. Finally, I would be remiss if I failed to mention Berlin itself! Most of my PhD has taken place at institutes in small Norwegian cities. While a wonderful (and nearly distraction-free!) working environment, it was rejuvenating to join a much larger academic and social environment. Berlin, as the locals say, isn’t really Germany, and I find myself in agreement with this sentiment. Berlin is a city that sits at the interface of the past and future, where reminders of what has been and visions of what may be exist side-by-side. It is a city of one thousand languages, yet it’s united by great food, nightlife, intellectual and artistic pursuits; it is truly a beating heart of European and international society. What a wonderful experience for me, a native of small-town Alaska and now small-town Norway, to enjoy this vivacious European capitol. My Green Talents Research Stay experience provided more than I could have ever anticipated in terms of opportunity for academic and education exchange as well as cultural exposure and fulfillment. The opportunities I’ve been afforded through the Green Talents program and, in particular, the research stay has enriched and widened my PhD experience immeasurably. I am especially grateful to the Green Talents staff who flawlessly facilitated a great research stay and to my host institute IRI THESys and close collaborator, Janine Hauer. I look forward to a lasting collaboration together! Read more about Hannah Harrison.